How do I access my Parallels Power Panel? For your DV Developer, you can monitor resources, stop/start services, configure firewall rules, repair your server, and more with your Parallels Power Panel. Some versions of Google Chrome will not allow you access to your Power Panel. Select the primary domain for your DV Developer. This takes you to your DV Developer Control Panel. 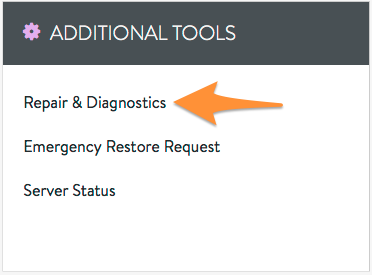 Click on Repair & Diagnostics in the Additional Tools box. Log into your Power Panel using the root user and the root user's password. When I launch the Parallels Power Panel I receive a page with a large SSL Warning, is it safe to visit? Yes! What you are seeing is an SSL error message due to the fact that the Parallels Power Panel uses a self-signed SSL Certificate. Your browser should offer you a way to bypass the error message so that you may access the panel. For your DV server, you can monitor resources, stop/start services, configure firewall rules, repair your server, and more with your Parallels Power Panel. 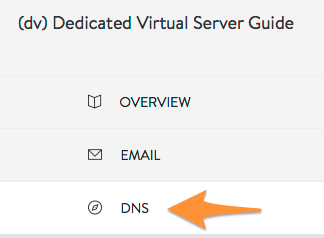 Select the primary domain for your DV server. This takes you to your DV server Control Panel. 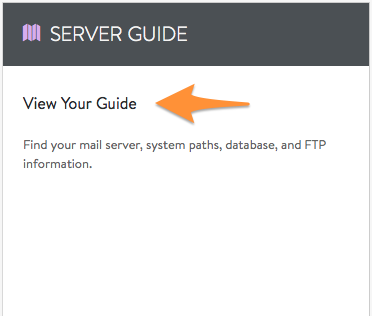 Find Server Guide, then click on View Your Guide. Take note of your server's IP address. Log into your Power Panel using the root user and the root user's password. See below. When I launch the Parallels Power Panel I receive a page with a large SSL Warning. Is it safe to visit?